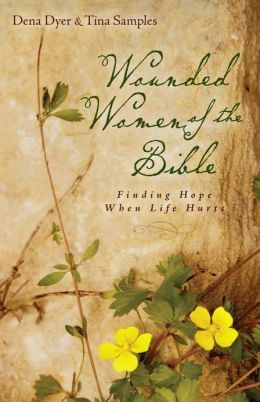 This entry was posted in Encouragement, Publishing, Writer's Life, Writing and tagged change, Dena Dyer, difficulties, encouragement, encouragement for writers, faithfulness, God's mercy and grace, Greg Johnson, rejection, Tina Samples, WordServe Literary Agency, writing life by Dena Dyer. Bookmark the permalink. 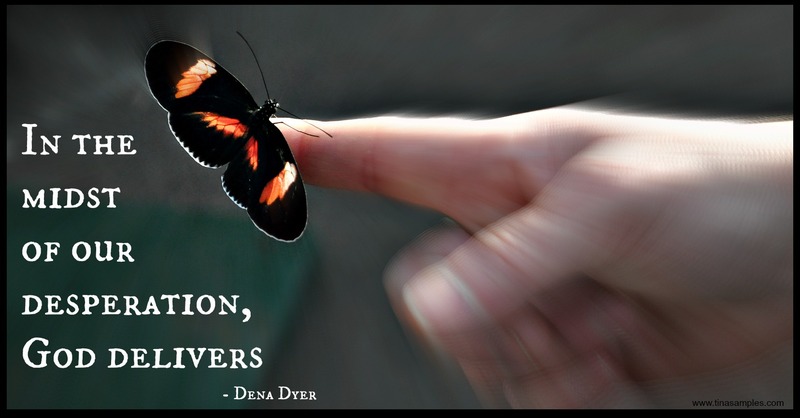 Dena, thank you for this transparent and beautiful post that greatly encouraged me. Your book looks wonderful, and I’m so glad to know about it! Blessings on you and Tina for writing it, as I know it will bring hope to many. Judy, I’m so glad it encouraged you. I appreciate your kindness. And our prayer for the book is just that. The new book looks wonderful Dina; the cover is very compelling and beautiful. Thanks for your willingness to encourage others through your personal story. Debora, thank you. 🙂 It’s been a truly amazing journey; one that I wouldn’t trade, even with all the hard parts. Thank you for the reminder that when the sky is dark, God isn’t forgetting to protect us under his protective umbrella from the storm. Elaine, so true. He’s still there, even when we can’t see Him. As my pastor said just this morning, “Sometimes we can be in the middle of God’s will AND in the middle of the storm.” Blessings to you, today. Linda, I’m so thankful that I encouraged you. Thank you for the kind words, and I pray God quenches your thirst and brings you out of that desert–SOON. 🙂 Hugs to you, too. 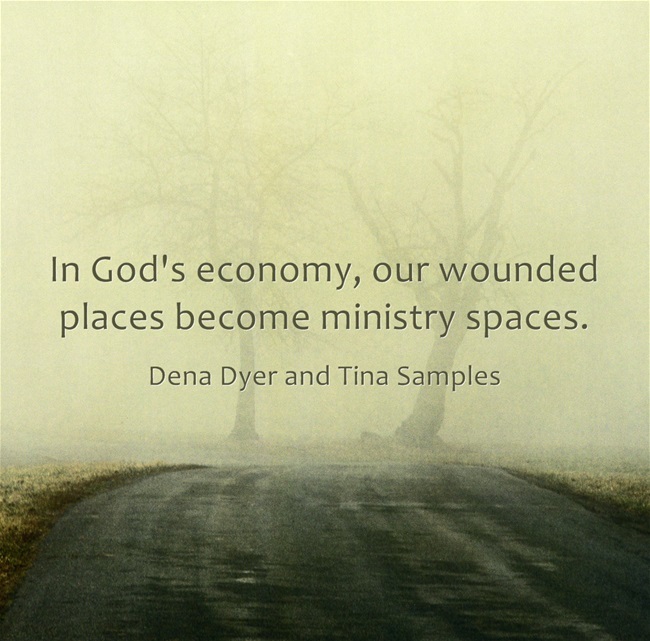 I love this post, Dena, and especially this line: trust Him with your wounded places, for one day, they will become ministry spaces. When I was in grad school for theology, I took a spirituality and leadership course, and we talked a lot about wounded leaders, and how each of us find our strength in our woundedness. Thanks for reminding me of this critical truth!